1. In which of the following years the percentage increase/decrease in the cost of Travel C with respect to the previous year is the maximum? 2. In which of the following years the cost of all the three travels together is the maximum? 3. 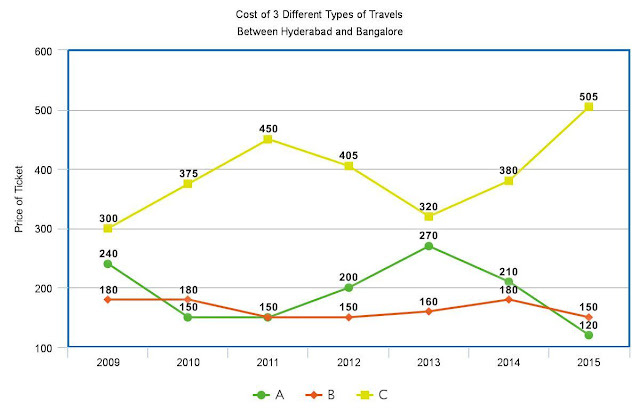 In which of the following two years the total cost of all three travels is the same? 4. 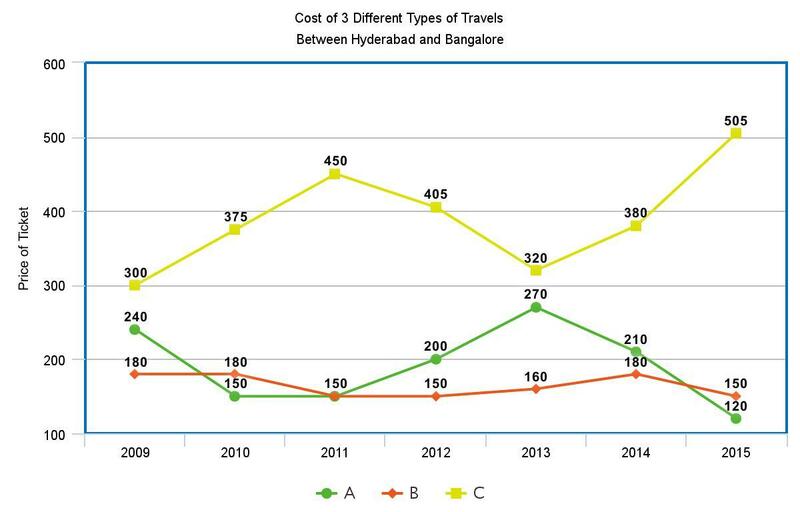 Find the percentage decrease in the cost of travel B from 2009 to 2015. 5. Find the approximate difference between the average cost of travel A and that of travel B.